But ETFs are also among the lesser-known types of investments. If you haven't heard of them, or you've only heard of them spoken about in hushed tones, don't worry. You haven't missed the boat. In fact, you can invest in an ETF anytime, once you understand what they are and decide that they'd be a valued part of your particular portfolio. Most investors can tell you that an ETF is a fund that is designed to track an index, a particular commodity, or any group (more commonly called a "basket") of assets. But if you're new to investing or not familiar with the lingo, that might not mean much to you, so here's a breakdown. A fund is what happens when many investors agree to put their money together and let someone else (a person or a company) manage which securities they buy and sell, and when these are bought and sold. A person indicates his or her agreement to this arrangement by buying into the fund, or buying shares in the fund. This means that the individual is not directly choosing which securities are being purchased or sold, though they can usually choose to sell out of the fund anytime they are unhappy with its performance. The benefits of a fund are many. Investors don't have to do the research to become experts in the market and in each security they want to purchase, but instead reap the benefits of having someone who has trained in these areas doing all of that for them. They also have more purchasing power when their money is combined with that of the others in the fund. In addition, while funds usually have fees associated with them, these are often lower than what an investor could get on his own. When you choose to buy into an ETF, the particular fund that you buy is designed to perform identically to a particular index (like the Dow Jones or S&P 500), commodity market (like gold), or another group of assets (technology, healthcare, etc.). You will know all of this up front, before you make your investment. However, in addition to following the market, an ETF is traded more like a stock. Traditional index funds (funds that perform identically to an index) have been around for years, but they are expensive to trade. An ETF is much cheaper, and it often acts more like a stock, too, changing in value throughout the day as the index's value changes, because particular securities are bought and sold. It's important to note that an ETF is designed to follow the market, NOT to beat it. Some groups are attempting to create actively managed ETFs that do this, but this hasn't worked well so far. At the end of each day, each ETF must disclose which securities are held by the fund. This means that others can respond to the fund's purchases, which often negates the effectiveness of taking certain positions in the first place. Okay, now that we understand the basics, let's look at why you might choose an ETF over another investment. One of the benefits to trading stocks is that you can can put in things like stop-loss orders, limit orders, and market orders. These help you maximize your gains while limiting your losses. You can't use them with mutual funds, which is one of the downsides of investing that way. 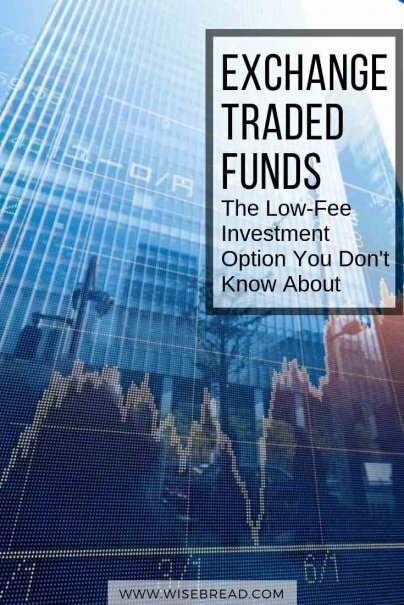 Because ETFs trade like stocks, it's relatively easy to get your money out of them when you need it. If you have an emergency or just want to put your money somewhere else, it's easy to get it out of the ETF and back into your hands. The problem with investing in something like gold directly is that you have to come up with a place to store all that precious metal. When you invest in an ETF that tracks the gold market, though, you don't have to store anything, so you can take advantage of an upward trending commodity market without the hassle. The average expense ratio (the percentage of overall assets deducted for fees) for an ETF is 0.44%, as opposed to 0.74% for a mutual fund. Thus, it costs you less to invest in an ETF. While this may not seem like a big difference to you, it means that you get to keep more of your money, which is always a good thing. And the more you invest in the fund, the more you will save. Because you aren't picking and choosing individual stocks, buying an ETF often offers more diversification for your portfolio than simple stock investing. This is particularly true if your ETF tracks a large index, like the S&P 500, which has many different types of companies represented. If your ETF tracks a narrower category, like tech or medical stocks, you will have some diversity within that field but less overall. You will pay fewer capital gains taxes on ETFs than on mutual funds. When the ETF buys or sells shares in order to track the index or market, these are seen as in-kind transfers, which are not subject to taxes in the same ways that mutual funds can be. If you are concerned about not seeing surprises in your tax liability, ETFs might be a good idea for you. Naturally, an ETF is not without its compromises. This is the other side of the diversification coin. While an ETF provides more diversification than many investors will achieve on their own, each fund doesn't necessarily hold as wide a variety of securities as you would want in your portfolio. Each ETF has to have at least 13 securities and can't put more than 30% of the assets into any one place, so you're guaranteed some diversification. If you want a truly diverse portfolio, though, you will need to hold more than one or two ETFs. While it might make a lot of sense to invest in an ETF that tracks a well-known index, like the Dow Jones, there are other indices whose performance is unknown, or that have not been around long enough for us to know how well they will do long-term. Putting a large sum of money into an ETF following one of these could be too much risk, especially for a new investor. If the volume of the particular index that an ETF follows is low, you may end up losing money because of a large bid/ask spread. This basically means that there is a large difference between the price that investors are willing to pay for shares and the price at which the shares are being offered. Over time, trading funds with a large spread will eat away at your returns. It's up to you and your financial advisor to decide if an ETF is right for you, right now. Once you understand how they work, though, you're in a better place to make this evaluation and, if they do seem like a good idea right now, choose the one that is most likely to help you earn more. Have you invested in ETFs? What was your experience like?